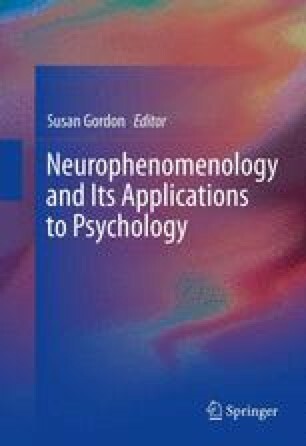 This chapter discusses the inclusion of phenomenological analysis in the cognitive psychological research of meditation. Different meditation styles involve the specific changes of the mind, such as a long-lasting, vivid, and stable mental imagery in some types of Tibetan meditation. Comparative phenomenological analysis of the Deity Yoga, mandala, Vipashyana, and Rig-pa types of Tibetan meditation was included in designing a cognitive experiment. Results indicate the increase of visual working memory due to the practice of Deity Yoga, suggesting access to the heightened visual processing resources (Kozhevnikov, Louchakova, Josipovic, & Motes. Psychological Science 20(5):645–653, 2009). The phenomenological part of the design, reported here for the first time, included a new methodology termed phenomenological-cognitive mapping (PCM). PCM linked the comparative phenomenological analysis of meditation to the psychological parameters of cognitive testing. PCM proved to be crucial in designing a successful experiment that led to novel findings. In the absence of PCM, isolating the meditation style that causes the optimization of visual-spatial processing and finding at what stage of meditation this happens would not be possible. This chapter argues in favor of including a detailed phenomenological analysis of experience in the cognitive research of meditation, as opposed to using only general classifications such as meditation styles.